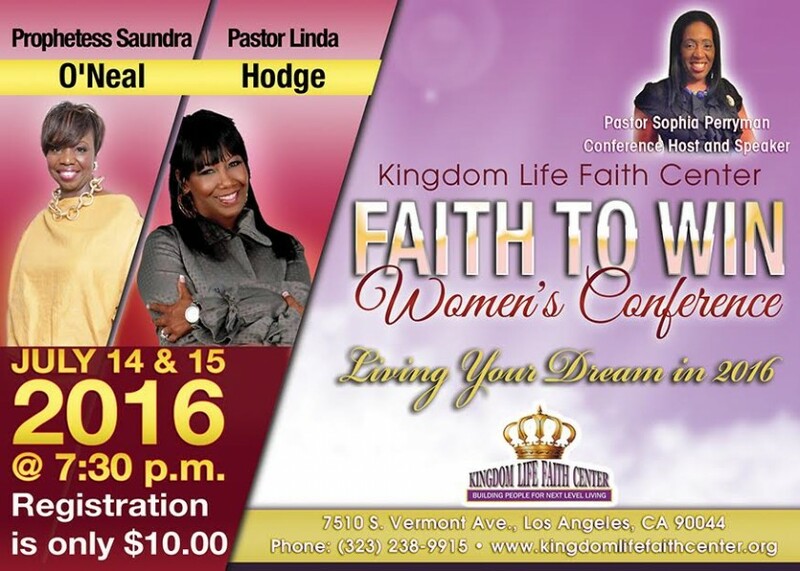 Join us for one of the premiere Women's Conference of today "The Faith to Win Women's Conference, Living Your Dream in 2016"! Thursday, July 14th & Friday, July 15th. 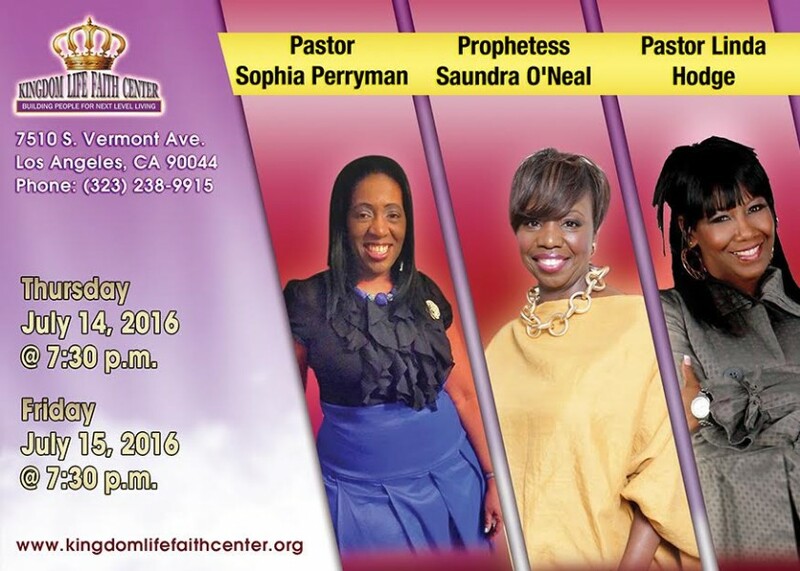 Speakers include Prophetess Saundra O'neal, Pastor Linda Hodge and Conference Host: Pastor Sophia Perryman.